Leaders commonly speak the word innovation. It conveys a sense of excitement and newness that motivates people. 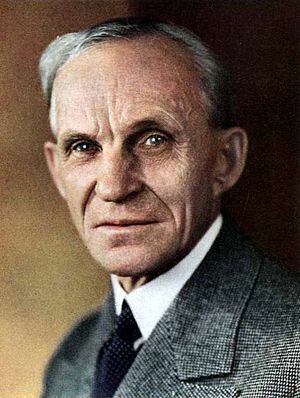 For example, Henry Ford did not invent the automobile nor did he invent mass production. Ford revolutionized the auto industry by combining existing technologies from meatpacking experts (the assembly line approach), electric motors, continuous flow, and machine tools. Every technology Ford needed was there, it was his ability to find and combine the elements that made him a world-changing innovator. Ford’s genius was that he had a vision and the courage to look outside of his own industry for the best people and best ideas. Scurvy was a killer of many ancient sailors on long voyages. In 1601, a doctor in the British Navy found that citrus juice would prevent the disease. However, it wasn’t until nearly 200 years later – with many unnecessary deaths – that the British Navy to made its use a policy. Whether it is a new technological gadget, or a quality improvement program, there is no assurance that people will adopt an innovation. Leaders have an important role in developing the awareness of the innovation, positive attitude toward the innovation, and commitment to adopt the innovation. This leads to an important implication for leadership…..
T -Trialability: Can I try it out before committing? If I don’t like it, can I abandon the innovation? A – Advantage: Is this innovation better for me? Does it have greater relative advantage over what I am doing now or the alternatives? C– Compatibility: Is this compatible with my values? O – Observability: Can I physically see and experience it? S – Simplicity: Is it simple enough that I can understand its features, function, and benefits? People adopt innovations at different rates, with laggards the last to adopt the innovation. The nearby graphic shows the distribution of a population of people into five categories of people, based on when they adopt. Innovators are the smallest group. They are venturesome individuals who bring new ideas into the system. Henry Ford would be considered an innovator because he was successful at combining existing technologies found in other industries. Early adopters are opinion leaders that have an important function of decreasing uncertainty for others by sharing their positive experiences with the innovation. Early majority comprises people who consider the value of the innovation carefully – they deliberate – before committing. They rely on information provided by the early adopters. Late majority are people who are skeptical and need to have most of the uncertainty removed before they adopt the innovation. The innovation is inconsistent with their closely-held values. Influencing tactics such as presentations, use of status and celebrities, bargaining, and appeals to higher authority. Visioning to help people understand the anticipated future. When the innovation “crosses the chasm” it gains the critical mass where the majorities adopt it. Do you agree with these principles of innovation? How have you used them on your strategic initiatives? This posting originally appeared in the Linked2Leadership blogazine. This entry was posted in Competencies of Strategic Initiative Leaders, Success Principles for Strategic Initiatives, Transforming the Organization and tagged ambiguity, Business case, commitment, Competencies of Strategic Initiative Leaders, Decision making, Greg Githens, innovation, open innovation, Organizational culture, Strategic initiative, transformation, vision. Bookmark the permalink. This is a great post. You nailed it when you said people do not resist change. If we look at the consumer behavior, we can better understand the attitude of most folks. When an innovative product comes to market most consumers wait out to make sure the product works and the bugs if any are fixed. Similarly management has to understand that innovation is not self explanatory and catch up like wild fire. There is always a threshold or chasm to cross before innovation can take root. Your post brought that out very clearly.